my mind and my spirit. Give me a new perception of who I am……. It has been said that life’s fruitfulness will come out of your place of rest……..step away from the burden of day to day life, as we invite you to take a walk down the ancient healing path of rest and relaxation. 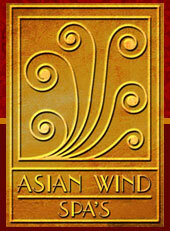 Asian Wind takes the best of past traditions and is shaping the future of your health in our havens of rejuvenation for the body, mind and spirit. Set amidst the peaceful and tranquil surrounding of Phuket and beyond, Asian Wind Spa’s are a haven of relaxation and rejuvenation, where the secrets of beauty and balance are at your finger tips. In the sanctuary of your single room or couple suites, we offer a divine menu of Massages, Facials, Body & Beauty Treatments utilizing both professional Aromatherapy products and carefully selected age old Thai beauty formulation, aimed to heal your body and de-stress your mind. Also incorporating Aromatic Herbal Steam rooms, Jacuzzi or private bath, step in, unwind and let our exquisite service, the healing touch of our therapist and the unforgettable essence of the spirit of Thailand, restore the luster of life that you’re searching for.